This really is supposed to be a more frequent update, but recent projects have left us nearly swamped with unexpected trainings in addition to preparations for my family to come to Mongolia. A couple weeks ago was one of the most intense few days of my entire time in Mongolia. On Thursday we did an all day training for about 50 staff from the World Vision organization. A large Christian International aid organization, World Vision leads many humanitarian projects all over Mongolia. Leaving at 8:00 AM, we taught all day and returned to the Training Center with just a few minutes to eat supper before starting our Thursday evening character English classes that evening. Finishing our classes a little after 8:00 PM, we went to bed and got up the next morning to leave for the second full day of training with the World Vision staff. We had a very good training, and at the conclusion I left the others to wrap things up while I took a taxi back to our apartment to get ready for a radio call-in broadcast with the WindFM radio station. With just a few minutes to gather materials and look over some notes, we were out the door again on the way to the radio station. The Lord answered prayer in allowing us to quickly find a taxi, and we arrived about five minutes before we went on the air for the hour long live broadcast, talking about the character quality of attentiveness. I was almost to tired to eat when I got back the apartment that evening, but after a much appreciated night of rest, we were up again getting ready for our Saturday character-English classes that started at 9:30 AM. After some good discussion with some of the attendees, we had the afternoon to catch up on things before taking several days off for a staff mid-year break. In spite of the intensity of these days, it was really neat to see God’s grace poured out upon us. The World Vision trainings went very well, and we were encouraged to see response of the attendees. After the training on gratefulness, they presented a beautiful thank you card to the staff of the restaurant where we held our meals and small group discussions. Flowing naturally, the dialog continued as I shared on the importance of showing attentiveness at home. Parents, I explained, can show attentiveness to their children and often pick up on subtle hints that reveal deeper needs. Maybe the fact that your son is a little quieter today is an indication that something happened at school today. Something that should be talked about. We did not have any callers the first week, but it was so neat to see the Lord’s hand in this as well. The first week we had no calls, the second we had a couple calls where the Lord really gave wisdom in answering questions, and the third week there were a couple very difficult questions. It was like the Lord was slowly transitioning me into a new area for ministry and growth. The trainings and new opportunities unfolding with World Vision in the past few weeks could take up a large section of this update, but a couple weeks ago something took place that was of much greater interest for me. An ever-building excitement continued at the Training Center as my family’s arrival date drew closer. For years my family and I have looked forward to the day when we could be serving overseas as a family, and now this day was less than two weeks away. It was then that I heard some unexpected news. Something had happened with the airline tickets and the Mongolian International Airlines company (MIAT). The details in Dad’s e-mail were a little unclear, but it seemed that MIAT was closing their US office. Talking to my Dad the next morning, I learned that not only were they unable to issue our tickets going from Beijing to Ulaanbaatar, but they had been the ones to make the United Airlines reservations as well, and these reservations had also been lost with the closing of the MIAT office. With less than two weeks before departure, this was no little cause for concern. Our one-year open-ended round trip tickets to Ulaanbaatar had been difficult to find, and now we faced the potential of trying to re-book the tickets. Dad was working with the travel agents, but the best alternatives they could find would cost an additional $4,000 or so for the ten tickets. We had been expecting to face some opposition as we got closer to the departure date, but I must say I was not expecting it to come quite like this! My family and many others joined in prayer that the Lord would show His power in working out this unexpected complication, as my Dad began to make appeals to the various travel agents. Taking my Dad’s suggestion to check with the local office here in Mongolia, we learned of some additional concerns. The entire network for flight and bank information between America and Mongolia was down, and none of the travel agents in Mongolia knew anything about my family’s tickets. One agent explained that while five days is what they usually tell people, it really depends on how the money is transferred. It often has to go through several banks and frequently takes two weeks or even a month to process. This was of real concern, since we had exactly five working days before my family had to have the tickets in Chicago before they left the next day! My brother was excited to report that the passports were back from the Mongolian Embassy in New York, but somehow the three year visas had all been stamped with a 90 day duration! This meant that my family could only stay in Mongolia for three months before they had to leave the country and reenter! The representative from the Embassy told us that our invitation had stated 90 days, but after double checking all our paperwork, we could not find anything that implied a 90 day duration. Checking with the office here, it looked like this could be a major problem. Reissuing visas in-country is not the preferred method, not to mention the expense of 10 more applications. Prayer was again offered to the One Who holds the heart of the king, and one of our Mongolian staff began investigating the issue further with the Foreign Affairs and Immigrations offices. One lady was indignant that someone had put a 90 day duration on the visa, since Americans do not need a visa for a stay less than 90 days. Again, the Lord mightily answered prayer! We were finally told that this was just done as a new policy to encourage foreigners to submit the required registration forms after arriving in country, and would not be a problem. We would be able to stay the full year allowed on my Dad’s work permit. A few days later we heard the tickets had arrived in Chicago, and everything was again in place for my family to fly from Chicago to Beijing and on to Ulaanbaatar with our original itinerary! Praise the Lord! We serve a powerful God! Isaac sent me a copy of his impressively designed luggage plan, and we worked to arrange the transportation for my family’s arrival. They were planning to bring 40 pieces of luggage, with a total weight estimated at 1400 pounds! Books from Headquarters, Four desktop computers, two sewing machines, school materials and musical instruments in addition to clothes and personal belongings made quite an impressive packing list. The flight was schedule to come in just after midnight, so after a brief hour of sleep, a small team and I rode out to the airport to welcome my family. 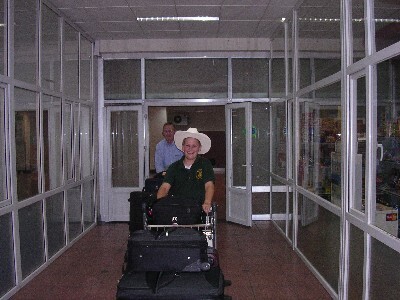 A couple large white cowboy hats brought smiles to our faces as my family came around the corner and made their way to the baggage claim. My younger siblings were all excited to tell me how long they had stayed up without sleeping, but everyone seemed in good spirits after the 30 hours of traveling. Many hands made the work light as we carried most of the luggage up the stairs to my family’s apartment on the fifth floor. It really is a joy to have my family here in Mongolia now! There is a dimension that a family adds to a Training Center that is just hard to make up with single staff. Our days have been full and eventful with many adjustments and changes as we move into this new season of ministry as a family. Derrick is wrapping up some farming projects back in Wisconsin, and plans to join us in mid-August. We are so grateful for the opportunity to serve together here, and thank you so much for your encouragement and prayers that makes this work possible! 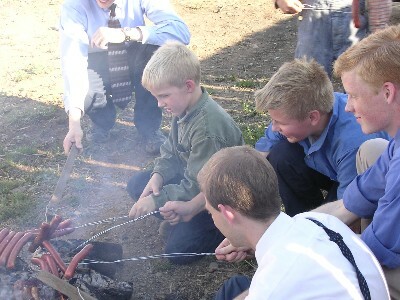 – Praise the Lord for the many answers to prayer in connection with my family’s arrival in Mongolia! Getting the airline tickets, getting them to my family in time, and the visas duration stamp issue are just a few of the many things that God has worked out over the past few months to make this time possible. – For the reminders of how important prayer is to this ministry. We did not pray very much for students on our Thursday Character – English classes, and ended up with about 4. We took the hint and prayed seriously for Saturday and ended up with 35! – The Lord unexpectedly directed our steps to find a very good source to purchase some used computer monitors! This is a great blessing and will allow us to begin using some of the computers that my family brought from America. – I am now beginning the process of upgrading our computers and transitioning to a new server computer. Pray that things would continue to go smoothly in this process. 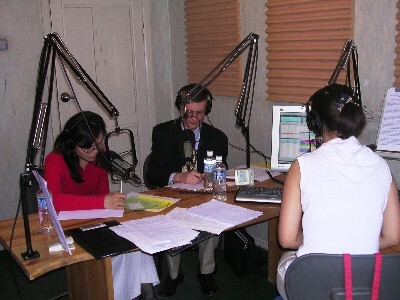 – On Friday I am planning to teach on the hour-long radio program with WindFM on the character quality of obedience. Pray that the Lord will give great wisdom and discernment in sharing and answering call-in questions on this potentially controversial subject. Sharing on the quality of attentiveness with the WindFM radio station. 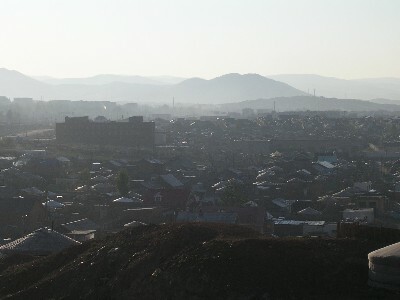 On June 14th, I had the opportunity to watch the sun rise over the city of Ulaanbaatar as I recalled this day seven years ago when the Lord called me to be a missionary. With a smile almost as big as his cowboy hat, Samuel walks through the doors to greet his brother and CTI friends. Less than 24 hours after arrival, the newcomers joined our team on a visit to the American Embassy for an Independence Day gathering and picnic. Lydia made good use of the tire swing. On July 4th, the Morley family invited the CTI team for a traditional American cookout. 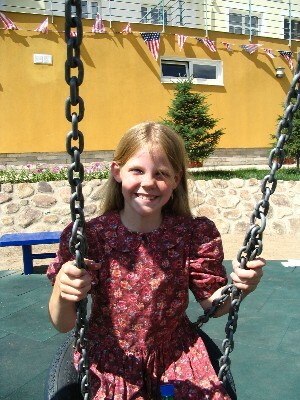 The Morleys have served for a number of years with a children’s home on the outskirts of Ulaanbaatar. 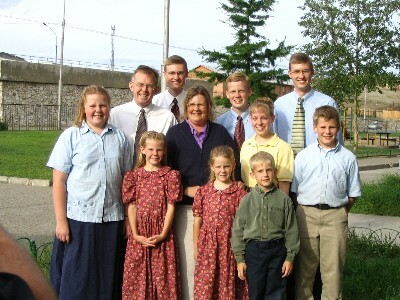 The Waller family in Mongolia. Derrick is wrapping up some farming projects, and we eagerly anticipate his arrival in mid-August. Thank you for your prayers for my family! Copyright © 2011 A Vision to Serve. All rights reserved.